Here is the story of Jesus' birth and the fulfillment of Old Testament prophecies in a beautiful pamphlet that can be used as a handout at Christmas and as a Bible study to use during Advent. Using traditional wording from Matthew and Luke's Gospels, and beautiful full-color art, this pamphlet starts with the angelic announcement of John the Baptist's birth and the angel Gabriel's visit to Mary. It continues with Mary and Joseph traveling to Nazareth, the birth of Jesus, and the visitation of the shepherds and the Wise Men. It ends with the Gospel story and a forward look toward Christ's second coming. This beautiful pamphlet will be treasured. Size: 8.5 x 5.5 inches; unfolds to 38 inches. 14 panels. Fits inside a Bible cover. Contains suggestions for Advent celebrations and traditional suggested readings; also includes suggestions for using the pamphlet as a Christmas program script. Questions for Discussion or Journaling:1.Read "The Advent of Hope" (panels 1-4). In the New Testament, John the Baptist fulfills the role of Elijah (also known as Elias in some Bible versions). What did the ancient biblical prophecies say he would do and why? 2.How did Jesus fulfill Psalm 89:3-4? What is the connection between Jesus and King David? 3.How did Mary respond to the angel's message? How did Joseph respond? How does the Lord deal with our own confusion in life? 4.Read "The Advent of Peace" (panels 5-6). In those days, the most powerful man in the world was Caesar Augustus. Look at the Old Testament prophecies. How is Jesus similar and different from Caesar? You may want to compare their status in society, their wealth and power, and their effect on future societies. Both would bring a kind of peace to the world. How would you describe the differences? 5.Read "The Advent of Joy" (panels 8-9). King Herod of Judea was one of the most ruthless rulers of the time. As a baby, Jesus had powerful enemies and his life was in danger. How did God protect him? Many people expected Jesus to be the Messiah for the Jewish people only, but God's plan was to bless the entire world. How do we see hints in these Scriptures. 6.Read "The Advent of Love" (panels 10-11). 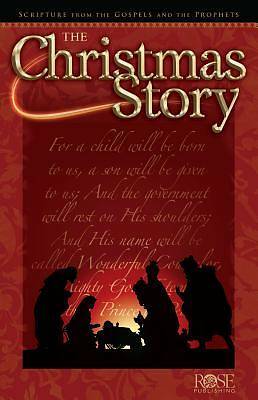 The Christmas story is more than the story of a tiny baby. Jesus was sent to earth to "seek and save" us. How was Jesus similar to us? How is he different? 7.Read Isaiah 53:5-6. What was the greater purpose for Jesus' life? How did he redeem us? Why is Jesus good news for all people? 8.At the time of Jesus' birth there was war and destruction. Within a few years of Jesus' death, Jerusalem and the Temple were destroyed. What hope does Jesus bring to a dark world? 9.Jesus died, rose again, and ascended into heaven where he intercedes with the Father on our behalf. What is our response to Jesus? What claim does he have on our lives? Have you ever asked him to forgive your sins and be Messiah and king of your life?